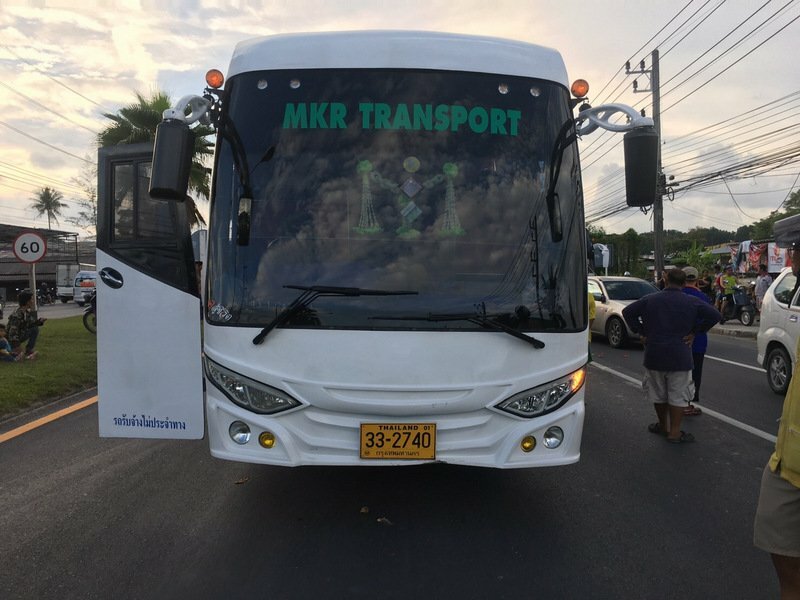 PHUKET: A horrific accident on Thepkrasattri Rd southbound left a 3-year-old Phuket girl without an aunt after she was crushed by a tour bus packed with Chinese tourists yesterday afternoon (April 21). 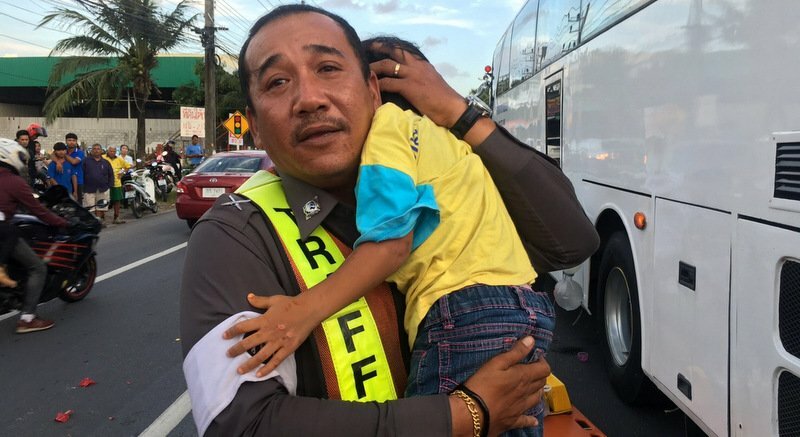 Lt Col Sunan Petchnoo of the Thalang Police was notified the accident, about 300m to the north of the locally called “Khao Lan Intersection” in Baan Lipon (see map below), at 5:45pm. 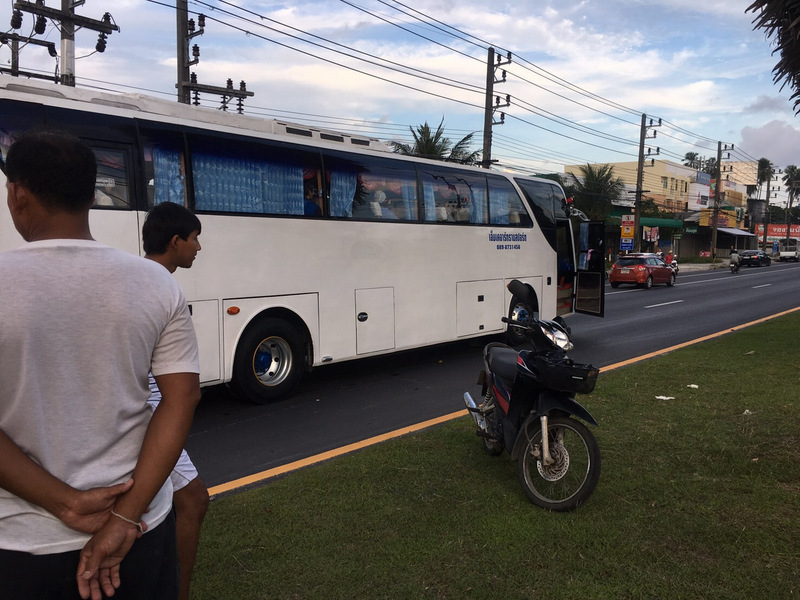 Srisoonthorn rescue workers arrived at the scene with Thalang Police to find traffic had been forced to a standstill due to the crash. 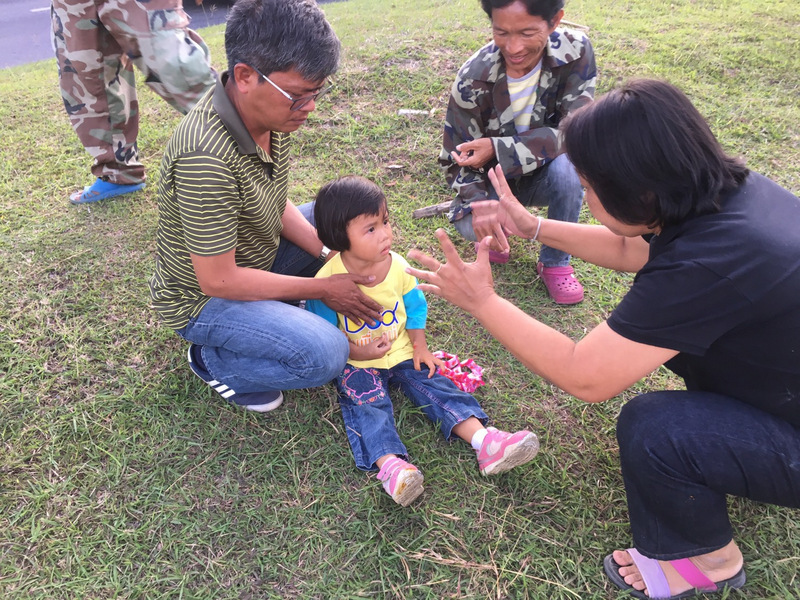 Under the right side of the vehicle lay a Honda Wave motorbike on which Sooksai Phudeethip, 38, and her 3-year-old niece Sasiprapra had been riding on. Ms Sooksai, however, was run over and dragged some 30 meters under one of the rear tyres. The bus driver was not at the scene when police arrived. According to police, the bus was travelling at high speed at the time of the impact. 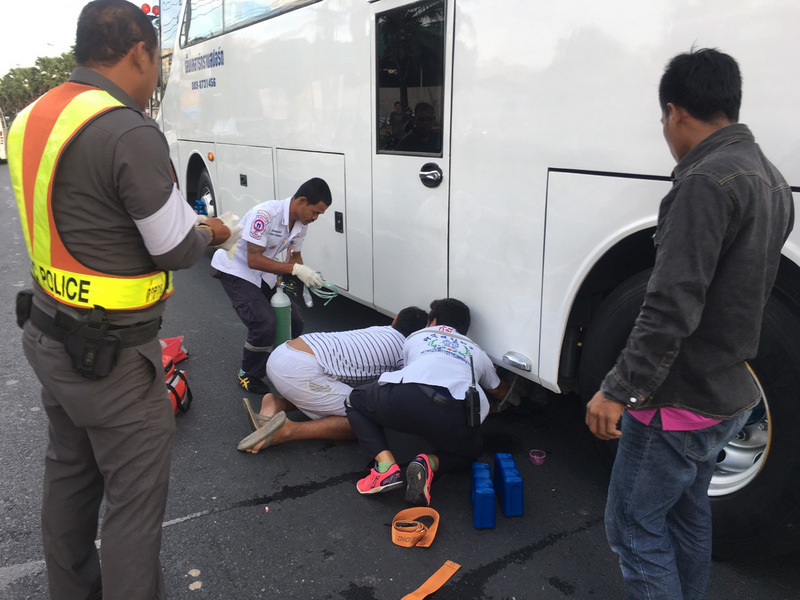 Ms Sooksai was travelling in the same direction as the bus, but police said they were told that Ms Sooksai suddenly changed lanes, causing the bus to collide with it at high speed. Col Sunan made a public statement urging the driver to present himself to police. The Drivers who run away do so to give their system to get rid of alcohol or drugs!They often give an excuse that they were afraid local might turn upon them & beat them up! This actually says alot about the character of some of these people, to kill someone with your vehicle then flee the scene beggars belief, gutless, spineless cowards, take responsibility for your actions like a man or now hunt him down and string him up, scumbags. What is the thai word for ..anticipating ( during driving)..? Bus driver runned away, coward, drugs/alcohol in his blood? We never will know. That coward just go to report to the police when the alcohol/drugs are out of his system. Another group of Chinese tourists who had their 'holiday experience' of their life. It is all over the international media now.